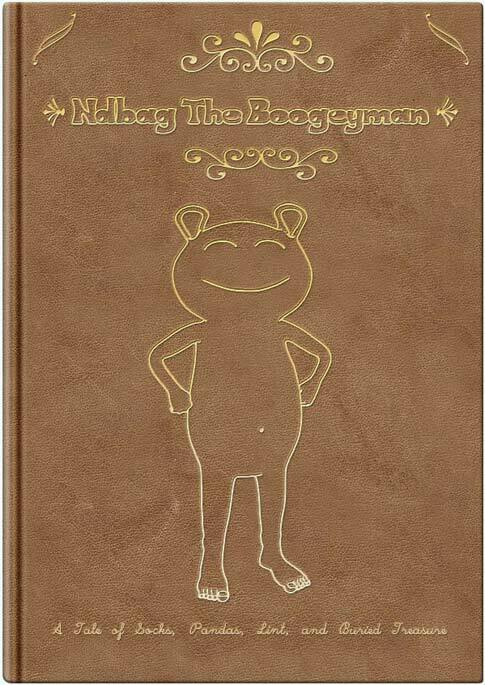 As some of you might know, the adventures of Ndbag the boogeyman have been chronicled as a book, complete with colourful illustrations. At the moment the means of distribution have not been sorted out. After all, you should be able to get your book without too much trouble. Until the tedious subject of publishing has been sorted out, Ndbag would like to show you at least a little part of the book, so you can have an idea of what you can expect. Here is a little extract from the beginning of Chapter/Story 5. As we all know, variety is the spice of life. And Ndbag knows this especially well. He usually makes sure that he has a number of differently coloured socks to choose from for his various meals and snacks. Therefore he has decided to branch out a bit and to make a weekly web comic strip to tell you about his adventures from a different perspective. 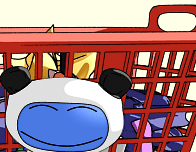 The comic strip does not re-tell the stories related in his book, but rather focuses on funny and cute little episodes from his daily life in and around the hamper. The little boogeyman hopes that you will enjoy his brand of silly boogeyman fun.